Alfred L. Goldberg, PhD is Professor of Cell Biology at Harvard Medical School (HMS) and has been on the faculty of HMS for nearly his entire academic career. His important discoveries have concerned the biochemical mechanisms and physiological regulation of protein breakdown in cells and the importance of this process in human disease. His laboratory first demonstrated a new pathway for protein breakdown, now termed the ubiquitin proteasome pathway. They first demonstrated the involvement of the 20S and 26S proteasomes in this process and discovered the ATP-dependent proteases responsible for protein degradation in bacteria and mitochondria. Also of wide impact have been Goldberg’s studies showing that the ubiquitin proteasome pathway is critical in the clearance of misfolded proteins and in muscle atrophy in many disease states, as well as in antigen presentation to the immune system. He and his colleagues also first introduced proteasome inhibitors now widely used as research tools. This work led to the development of Velcade®, now widely used in the treatment of multiple myeloma. Goldberg received his AB degree in Biochemistry and his PhD in Physiology in 1968 from Harvard University after attending Cambridge University and Harvard Medical School. 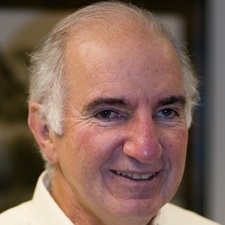 Goldberg’s accomplishments have been recognized with many prize lectureships and awards including the Novartis-Drew Award for Biochemical Science, Severo Ochoa Award (New York University), Knobil Prize for Medical Research (University of Texas) and the Gabbay Award for Biotechnology and Medicine (Brandeis University). He is a Fellow of the American Academy of Arts & Sciences and a member of the Institutes of Medicine of the National Academy of Sciences. He has received honorary degrees from Cold Spring Harbor Laboratories and the University of Maastricht (Netherlands) and is among the one percent most cited authors in the life sciences.